Hyla CE-5($940): The CE-5 is more V-shaped with a brighter background. It has better sub-bass extension and though its decay is a touch slower, the Phantom benefitting from a slightly more defined mid-bass, though the Hyla maintains excellent control and detail with superior dynamics. The CE-5 is not as warm as the Phantom, it is bassier overall on behalf of its larger sub-bass, however, its upper-bass and lower-midrange are substantially less present. As such, its midrange sounds more transparent, even slightly cool, it has less vocal body and both male and female vocals are less present. That said, as it has more of an upper-midrange bias, clarity is much higher and vocals are more extended. They have a lighter character with a touch of over-articulation. The Phantom actually has a little more lower-treble delivering more attack while the CE-5 has more middle-treble and upper-midrange, netting greater detail presence nonetheless. It is the more detailed earphone even though it is thinner and its background is substantially brighter but also airier. It has similar treble extension which is reaffirmed by its brighter tuning. The CE-5 has a more rounded stage with greater depth but also less width. However, its imaging is not quite as coherent as the more balanced Phantom. Beyerdynamic Xelento ($1000): The Xelento is bassier and more V-shaped. It has greater sub-bass extension but also sounds a touch more bloated due to its slower decay and greater focus on the mid-bass. The Phantom is tighter and faster despite being almost as full, its notes are more concise. The Xelento has less lower and centre-midrange so its vocals are more recessed yet it maintains adequate clarity through a climb in the upper-mids. It has more vocal extension but also sounds a touch over-articulated by comparison due to its lower-treble emphasis and lower density. The Xelento has a warmer voicing as its bass is more outstanding as opposed to its vocals so its midrange. The Xelento has a more present lower-treble, however, it focusses more on a 5K peak as opposed to the 6K peak on the Phantom. This produces a more organic treble instrument reconstruction, the Phantom having sharper attack and subjectively more detail presence, the Xelento having a smoother and more organic portrayal. The Xelento has more air with a more neutral middle-treble which grants it some more atmosphere. However, the Phantom offers more extension at the very top so it doesn’t sound especially closed-off in direct comparison. Both offer exceptionally wide soundstages, but the Phantom has an edge with regards to imaging where it delivers a more layered and precise presentation. Sennheiser ie800S ($1000): The ie800S is slightly brighter earphone. It has slightly better sub-bass extension and a tight slam at the very bottom. Its mid and upper-bass aren’t as present so it isn’t as warm, but it does have a touch of mid-bass emphasis that grants it some musicality. Its low-end is controlled and defined, it isn’t quite as fast and detailed as the Phantom, however. The ie800S has a substantially thinner midrange. However, it has similar vocal presence on behalf of a centre midrange push. In addition, the ie800S has a lot clarity due to its greater tonal transparency and slightly cool tone. It also implements a dip around 4KHz, a well-done one at that, which means it doesn’t sound over-articulated as the Xelento occasionally could, however, it does lack body compared to these earphones. With a prominent 6K spike, the ie800S has plenty of detail presence and delivers a very crisp foreground. The Phantom is tuned similarly but is enhanced to a lesser degree, it is actually slightly more detailed as instruments have more body and texture. The ie800S also has a brighter background with a more present middle-treble. As such, it is airier and more open sounding. That said, the Phantom extends further and delivers higher resolution overall. It has a larger soundstage in addition a more layered presentation though the ie800S also images quite well. Campfire Audio Andromeda ($1099): The Andro is brighter and slightly more tonally neutral, offering a more u-shaped signature overall. It has less sub-bass extension and power but has a lightly warm mid and upper-bass. The Phantom is the bassier earphone, it has slower decay but also sounds more dynamic and impactful, and it is just as detailed due to its high control. The Andro has a clearer midrange that benefits from greater transparency on behalf of the Andro’s leaner mid and upper-bass. The Andro has more of a vocal push and it is more linear into the upper-midrange where the Phantom has a small 4K dip for density. As such, the Andro sounds slightly thinned out but also has greater vocal clarity and similar presence overall. The Andro shares a 6K peak and it has greater emphasis than the Phantom. This produces a noticeably crisper foreground with great attack and a slightly more aggressive detail presentation. The Phantom has more treble body and is a touch more detailed in the foreground, however, the Andro reveals more background detail due to its brighter tuning. This mostly stems from its more neutral middle-treble paired with a significantly more present upper-treble that gives it more sparkle and brings out the finer nuances. The Andro’s foreground sounds a touch tizzy as a result, however, its strong treble extension is more apparent than on the darker Phantom. Both earphones have excellent soundstages, the Andro has more depth and is more rounded while the Phantom has slightly more width. Both image well, the Andro being more holographic with sharper cues, the Phantom offering the more coherent and layered presentation. Campfire Audio Solaris ($1500): The Solaris offers a brighter, more tonally neutral sound with a focus on vocals. It has greater sub-bass extension and very solid slam at the very bottom. The Solaris has notably less mid and upper-bass sounding cleaner in tone and less bass orientated in general. Its decay is just a touch slower and its texture is smoother, however, it is very controlled, just as detailed and more dynamic. The Solaris is vocal forward with great clarity and a neutral tone, however, it sounds thin by comparison to the lusher Phantom. In isolation, neither the Solaris nor Andromeda sound thin, though the Solaris lacks any warmth in its midrange where the Andro had more bass to fill in body. The Solaris rather implements a sharp 4Khz trough that grants it great smoothness and a similarly velvety presentation to the Phantom. It doesn’t sound over-articulated while maintaining top-notch vocal clarity while the Phantom benefits from greater linearity and a more realistic timbre. The Solaris has a more present lower-treble, being a slightly more isolated peak, treble instrumentation isn’t as well-bodied as on the Phantom. The Solaris also implements a slightly darker middle-treble that somewhat counteracts its notably enhanced upper-treble. This tuning opens up its presentation and grants its highs incredible energy and very present micro-details that the Phanotm cannot match. The Solaris extends further and offers a larger stage in all dimensions. Its imaging is more holographic with an abundance of micro-details and sharp cues, however, it also doesn’t layer like the more ample bodied Phantom that also benefits from more defined layers on behalf of its great foreground/background separation. Noble Audio Katana ($1850): The Katana offers a more neutral tone and a brighter background. It has a touch less sub-bass extension combined with considerably less bass quantity throughout, especially regarding upper-bass. On the contrary, its bass is faster and cleaner, delivering more detail overall at the cost of being less dynamic and musical per say. The Katana has similar vocal presence and its midrange is quite natural neither sounding thin and stretched out nor especially smooth. It splits it right down the middle with just enough body down-low and not too much articulation up top. The Phantom is warmer and it sounds a touch more filled-in, it especially sounds smoother due to its upper-midrange tuning where the Katana is a touch cleaner and clearer. Both excel with timbre in this regard and my personal preference between them varies from track to track. Both earphones also employ light lower-treble emphasis. What differentiates them most is their middle-treble tuning where the Katana is considerably brighter. As such, it is more detailed, bringing background details more to the fore and its foreground never suffers from the truncation the Phantom occasionally suffers from. The Katana extends a touch further at the very top and it has a pleasantly linear upper-treble. Its soundstage has a touch less width but notably more depth at the cost of centre image solidity. As before, the Phantom excels with its layering and coherent imaging while the Katana has greater separation at the cost of sounding less cohesive. StereoPravda SB-7 ($2500): The SB-7 is the antithesis to the Phantom delivering a brighter sound with greater focus on treble. The Phantom offers greater bass extension and notably more emphasis throughout its low-end. However, though fuller, this comes at the cost fine detail with control being higher on the SB-7. The SB-7 is also a lot faster at the cost of being leaner and less impactful. The SB-7 continues this style of tuning into the midrange where it has substantially less body mainly on behalf of its less present upper-bass. On the contrary, its upper-midrange is more present creating a brighter, clearer and more revealing presentation. Hidition NT-8 ($2500): The NT-8 offers a more diffuse-field neutral tuning with less warmth and a brighter background. It has similarly strong sub-bass extension, if not a little more combined with similar emphasis that grants it a solid impact at the very bottom. The NT-8, however, does not have the same mid and upper-bass body, instead, adopting a much more neutral tone. It has a faster low-end combined with a smooth texture so it retrieves a lot of detail without fatiguing or dominating the presentation. This leads into a very slightly cool, bright midrange that contrasts to the lush Phantom. The NT-8 has a touch of raspiness due to its focus on vocal presence and clarity. Vocals are more present on the NT-8 but also thinner. On the contrary, it has great upper-midrange extension and avoids over-articulation. Treble is well realised with a balanced lower-treble and touch of middle-treble emphasis that aids openness. Upper-treble extends very linearly, providing natural sparkle and atmosphere. The NT-8 has a larger soundstage and greater depth, its imaging is more holographic though it isn’t as layered or clean as the Phantom due to its brighter style of tuning and smaller note size set to a larger space. Technically, the NT-8 holds an advantage though some may still prefer the Phantom’s more organic and grounded tuning. Ultimately, when buying a TOTL IEM, one has to consider what they’re searching for in this hobby, whether it be for maximum thrill or greater immersion. The Phantom caters towards the later, not captivating with its sparkle and micro-detail presence, but continuing to engage with its forward, velvety vocals, extended low-end and exceptionally wide soundstage. Other flagships definitely provide more wow, however, the Phantom is an IEM that you can pick up at any hour and listen without fatigue all the while picking up minutiae within the song. The Phantom is the daily flagship, free of fatigue and always hiding a new nuance in plain sight for the listener to discover. 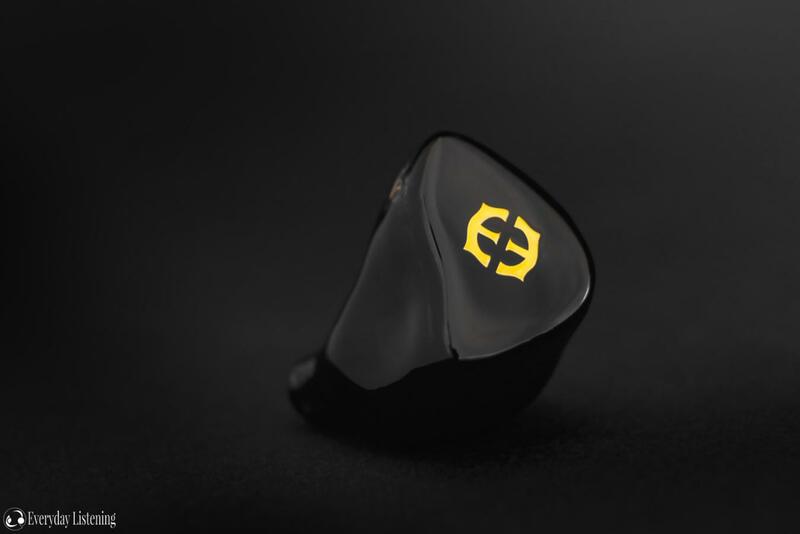 The Phantom can be purchased from Empire Ears (Custom/UNI) for $1799 USD. I am not affiliated with Empire Ears and receive no earnings from purchases through this link. Their designs and really beautiful. The manufacturer has also treated the packaging. thanks for the thorough review! for someone who is pineing for an andro with more subbass and denser, less ethereal mids, would phantom or solaris be a better choice? or perhaps the 64 U12t? thanks again, your detailed comparisons are very illuminating as always. Been listening to the Andro quite a bit recently, with the Phantom you will definitely experience a much fuller, warmer and denser midrange. Vocals sound more filled in and you don’t get too much haze from the lower-treble either due to that density. The Phantom has a deeper bass with a bit more sub-bass and upper-bass that are responsible for its greater warmth. It is not nearly as bright up top, however, which may make it jarring to switch to. That said, where mids and bass depth are concerned, you will find it a good match for your preference. The Solaris is a good choice too, its midrange is denser due to its less present upper-midrange, however, it doesn’t have as much mid or upper-bass warmth so I wouldn’t call it less ethereal per say as it also lacks any warmth, being rather transparent. Its sub-bass certainly reaches deeper, aided by that dynamic driver which provides really solid slam and rumble. It has a brighter upper-treble so it sounds quite airy and sparkly, more so than the Andromeda, it is hard to say if this is exactly what you’re looking for but it is easy to enjoy. I haven’t had an opportunity to listen to the U12T for an extended period of time so I can’t comment there, sorry! thanks! i really enjoyed the phantom, reminds me of the TG334 but with better controlled bass. VE8 is still the iem that is closest to my person preferences but its cost as well as being ciem only ruled it out for me.